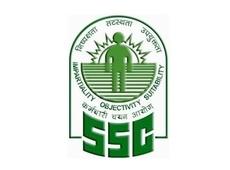 SSC conducting CHSL exam from 4th march to 26 march 2018. The Staff Selection Commission (SSC) is conducting the Combined Higher Secondary (10+2) Level Examination (Tier-I) or CHSL, 2017 from 4 March to 28 March 2018. The SSC CHSL 2017 examination is being conducted at 438 venues in 92 cities for 63,49,545 registered candidates across the country. So far, according to the commission, 10 cases of impersonation have been detected from various venues across the country. Till March 8, 5,58,319 candidates out of 14,11,539 candidates have taken the examination. "So far, 10 cases of impersonation have been detected from various venues across the country (i.e. 5 at Patna, 2 at Delhi and 1 each at Chandigarh, Gorakhpur and Allahabad)," said the statement. In addition, 4 cases of cheating have also been reported, two each at Patna and Delhi. "Police complaints have been registered against the delinquent candidates/ persons involved in these exam related malpractices. Further action against the involved candidates viz. cancellation of their candidature and debarment from future examinations of the Commission has also been initiated," said the notification. Click here for Download Admit Card from region websites.